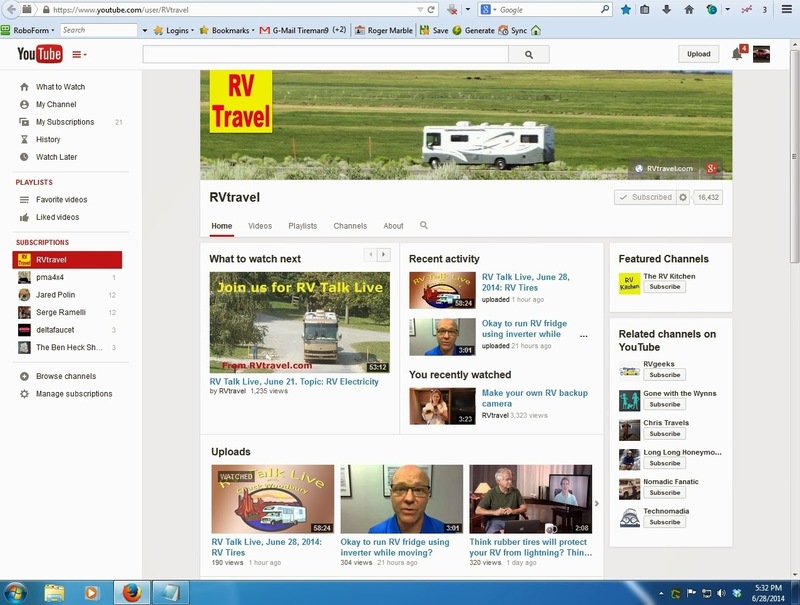 I enjoyed this first webinar on the RV Travel YouTube channel (June 28). Hope you found the information informative. Buddy Light said "I like RV tires with more plies". Well Buddy you may not realize but "Ply Rating" is an old term that is based on an "equivalent strength" and not on the actual number of Ply or layers of reinforcement. You can read the material list of what is actually in your tires as it is molded on the tire sidewalls. It may say something like "Sidewall 2 Ply Polyester, Tread 2 ply Polyester + 2 ply Steel". If you have a large RV with 22.5 wheel diameter you may be surprised to learn the sidewall of many of these tires has only one Ply of Steel in the sidewall with an additional 3 or 4 Ply of Steel in the Tread area. These tires may have a "Ply Rating" of 12 or 14 but in reality there is only 1 ply in the tire. Astrid Bierworth said "if a truck tire is the same size as the trailer tire, could we get better service from a truck tire?" addresses your question specifically. The second part will be published next week. If you subscribe to my blog you will get a notice when a new post goes up. David Lee asked a similar question. "What's the advantage/disadvantage of using light truck tires over trailer tires?" Sorry David our set-up didn't allow me to see the comments live. I hope you find the answer you were looking for in my series on this topic. AaronzDad "Roger are there any tire treatments that will add back the oils and chemicals tires need to stay flexible and extend the life of the tire?" tire for protection. I suggest you limit your tire "treatment" to the same wash, sponge and soap you use on the painted surfaces of your RV or car. Lori Singels said "The highly recommended TPMS system I bought constantly leaked. They're now a paperweight on my desk." I don't know who gave you the recommendation but if you bought your TPMS from a reputable dealer there should have been a warranty available that would have addressed your problem. I did a post on "What is the BEST TPMS" and in it I tried to provide the features I felt were the most important to look for in a system. Remember that just having a big advertising budget so your product name is most recognized does not mean your product is the best on the market. 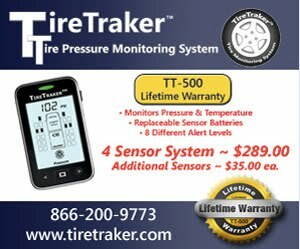 After some research, I bought my TPMS from TireTraker and have run them on my coach since 2012 and am very pleased.